As you may be aware, Google recently rolled-out a newer, AJAXified user-interface for their image search which features “infinite” scrolling and automatic pagination. The new UI was rolled-out at the end of July to a subset of users, and they state that more users will receive the new layout in upcoming days. Beyond the items their blog post outlined, I noticed a couple of other things had changed. First, when comparing the new UI versus old, the order of the search results is a little different, indicating that the algorthm mayve been updated. 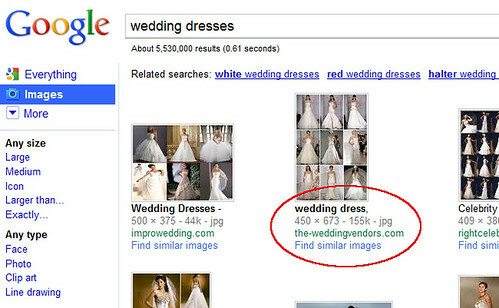 Second, the text associated with the image is different — previously, some visible text from near the image on its native page was shown below the thumbnail in Image SERPs. Now, the new UI displays the image filename instead of a title or a caption. Google has apparently decided that an image’s filename is more important to display to endusers than other text — this is a major paradigm change! Google must’ve decided that the filename is a more important usability or user-experience factor — and Google likes using such factors in their ranking algorithms. Christine Churchill, President of KeyRelevance, and Chris Silver Smith, Director of Optimization Strategies at KeyRelevance, will both be speaking and moderating sessions at the upcoming SMX East Conference in New York, NY, October 4-6, 2010. Don’t miss this opportunity to us speak on current search marketing techniques and to meet us in-person! Let us know if you’ll be attending, and we’ll look for you there! During the past year, I became a little excited at one of Google’s many enhancements to the presentation of search results, because I suspected it could hint at a possible ranking factor they might’ve introduced. The element in question is a date stamp. When Google states outright that they consider some element of webpages to be “useful” to searchers, my ears prick up, because Google is so obsessed with Usability that they sometimes use quantifiable elements of user-centered design in their search algorithms, such as their recent introduction of Page Speed as a ranking factor. 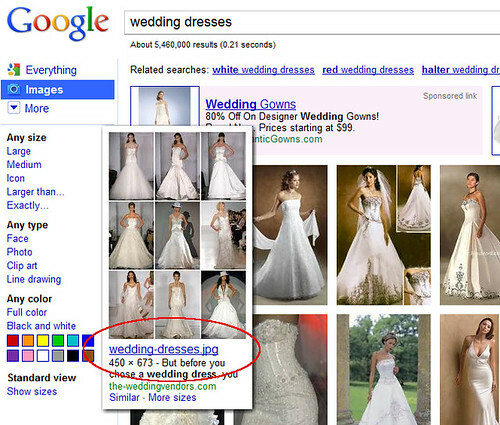 In this way, Google’s Usability fixation can reveal ranking factors. Facebook rolled out their new Places feature this week, allowing individuals to opt into status updates communicating their geolocations — a service that was likely inspired by smaller checkin services such as Foursquare and Gowalla. If you’re an owner of a local business, you’re probably wondering what this means to you. For those who advertise on Facebook, a notification note was added to the Campaigns administration page to answer questions and tell how to leverage the new Places page that might be associated with your business. I’m mirroring most of the salient information here so that those who don’t advertise in Facebook might be able to find the info without trying to search/dig around Facebook’s arcane information pages. As you can see, Facebook has set up many local business pages based on business directory listings data. Facebook’s Places business data comes from Localeze and the maps on Facebook Places pages are supplied by Bing (although the maps on the Facebook iPhone app are supplied by Google). 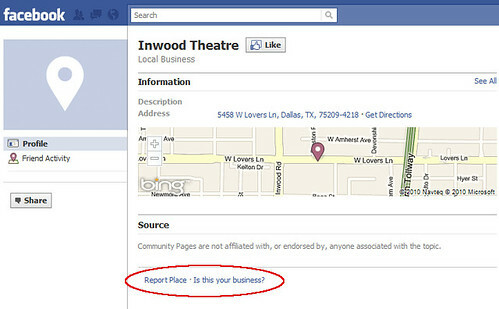 As a business owner, you have to claim your Places page via the link (circled in red in the Inwood Theatre screengrab above), and Facebook may verify your claim via a phone call or they may “ask you for a document for verification”. The potentially confusing/irksome thing about the Places rollout is that this has spawned additional pages for local businesses, many of whom had already set up their Facebook Page and even Group pages. So, this has created yet another page which you’ll now need to claim in order to help control and update/enhance your data. 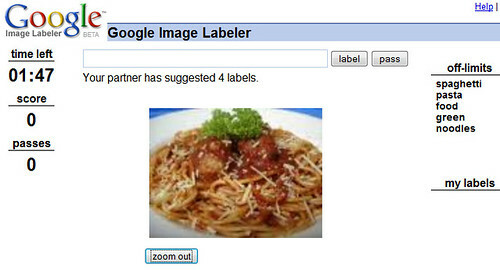 Off-Label Use For Google’s Image Labeler? One of the creative methods Google has used for associating keywords with images is their Image Labeler game, which has been in “beta” for some years. As you may be aware, it takes images from their extensive repository of spidered pictures, and assigns one simultaneously to two different people who opt to play the game. Each participant submits keywords describing the image presented to them, attempting to also match keywords submitted by the other participant. If you’ve reviewed very many websites and webpages, you’ll quickly see that there would be a great many cases where Google might spider some images, yet not have very much data to go on in terms of what the image is all about. Ideally, webmasters add images onto webpages with very clear captions right below them, and also use the ALT parameter in the IMG tag to tell what the image depicts. (ALT Text or “Alternative Text” is a parameter that allows a designer to supply some meta-data with an image — the ALT text describes the image in text, enabling audio browsers to speak the image’s text for blind and vision-impaired web users, and the text can also be used by search engines.) Well-optimized sites might even have their image filenames also reflect descriptive keywords, too. However, it’s frequently the case that a webpage designer neglects to do such things, leaving search engines to try to decipher how to make the images appear for appropriate keywords.